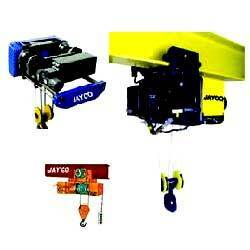 These Hoists are also manufacture for chemical & pharma industries suitable for gass group II A, II B & II C.
JAYCO flame proof hoists are manufactured in wide range and lifting capacities upto 25 tans & lifting height upto 50 mts. 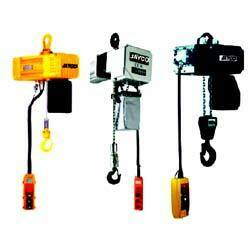 JAYCO flame proof hoists are designed in modular & simple construction in accordance with IS-3938. All electricals are housed in flame Proof enclosures confirming to IS -2148 and mechanical components, are designed so that there is no ferrous metal to ferrous metal contact in order to Avoid any kind of spark. JAYCO flame proof hoists are suteble for gas group I, IIA ,IIB & IIC. 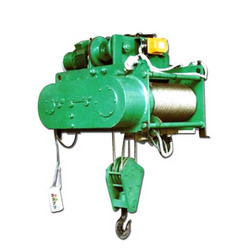 JAYCO flame proof hoists are widely used in chemical plants, coal mines, fertilizer companies, mineral oil industries, petrochemical plants, pharmaceutical indusries, etc. 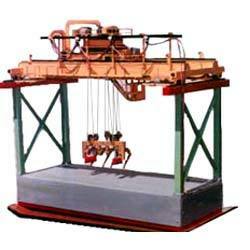 These are useful for safe lifting of material in Cheimical, Pharma Plant & other Industries. Steel fabricated cage cabin is guided by 'T’ guide rails on opposite sides for Smooth lifting of material goods. 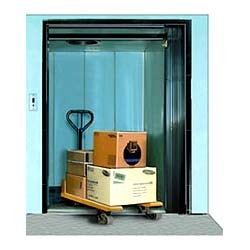 Collapsible floor doors are provided with electro – mechnical door locking arrangement for safety so that the cage will not move unless all the outside doors are closed properly. Also available with Flange Proof Electricals & SS Cage const suitable for GMP/hazardious gas groups I, II, IIA & IIC in Chemical & Pharma Plants. Special Hoist, suitable for hazardous atmosphere gas groups I, IIA, IIB & IIC In Chemical & Pharma companies high speed hoists, Special Purpose Hoist are available. JAYCO Electric Hoists are design in modular construction simplifying repairs & maintenance thus reducing down time. Design - compact & simple with low head room. Construction – HOIST are of fabricated modular construction & consist of separate individual units such as Brake, Motor, Gear Box, Wire Rope Drum, Electrical Control Panel & Travelling Trolley. All these units are easily accessible for repairs & maintenance without disturbing each other. Brake – 100% Failsafe instant action brake automatically actuates & power failure. Limit Switches – our provided as a safety device to prevent over hoisting & over lowering. Limit Switches are easily adjustable for the required working height. Pendent – Push Button Station operate on low voltage of 42 volts which ensures safety to the operator. Also available in Flame Proof suitable for hazardous atmosphere gas groups I, II A, II B & II C.
Slow Micro Speed, Radial Trolleys for curved radius, high speed, higher lift hoists for use in Cement, Chemical, Pharma, Steel, Fertilizer, Plastic & other industries. With the help of our experienced engineers we have created a whole new Electric Chain Hoists. We supply an electrically powered hoist that has a leading price that is easy to fit in any budget and can be used for any application. We are specialized in offering Hoists that are manufactured under the strict supervision of our qualified professionals. These hoists are available with an electric trolley and suspension hook that makes the hoists suitable for various applications.